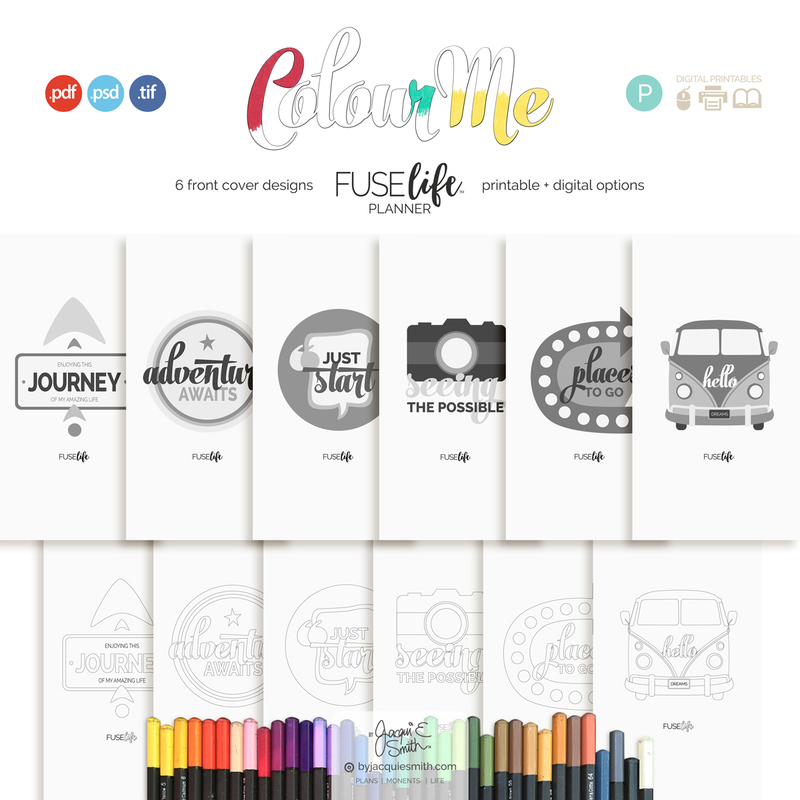 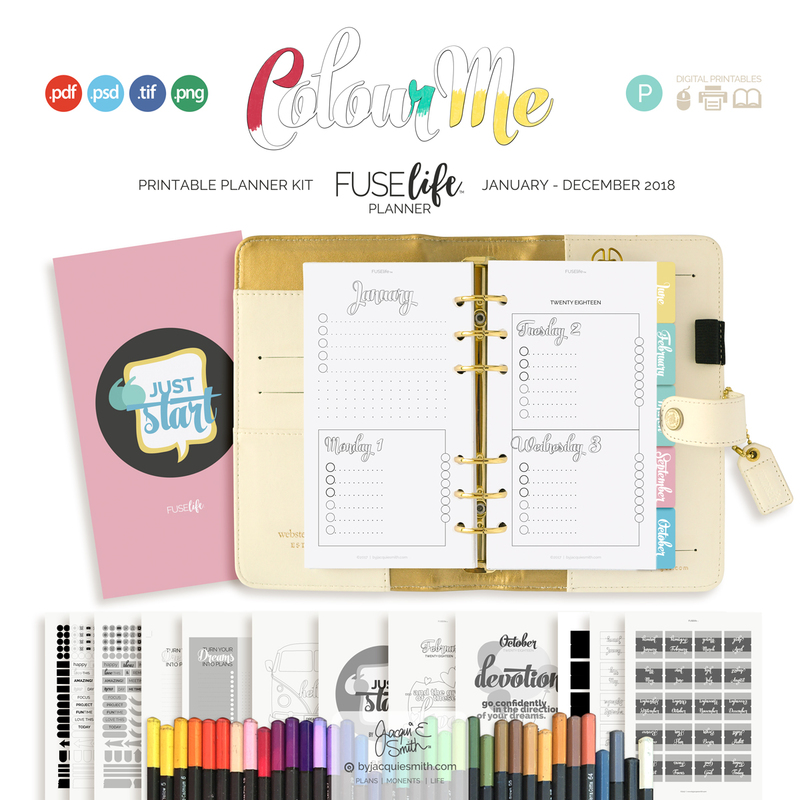 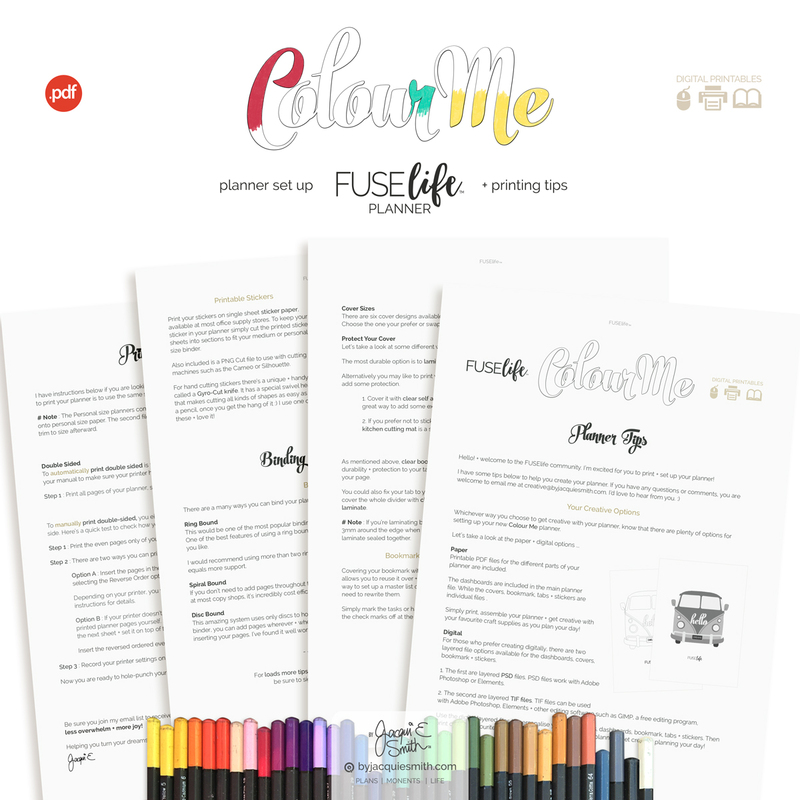 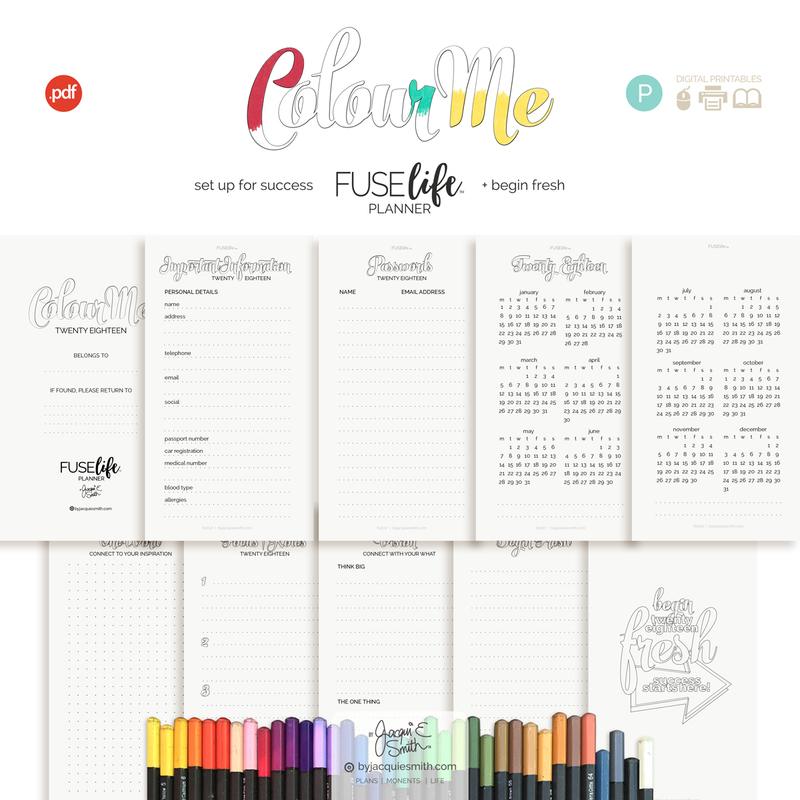 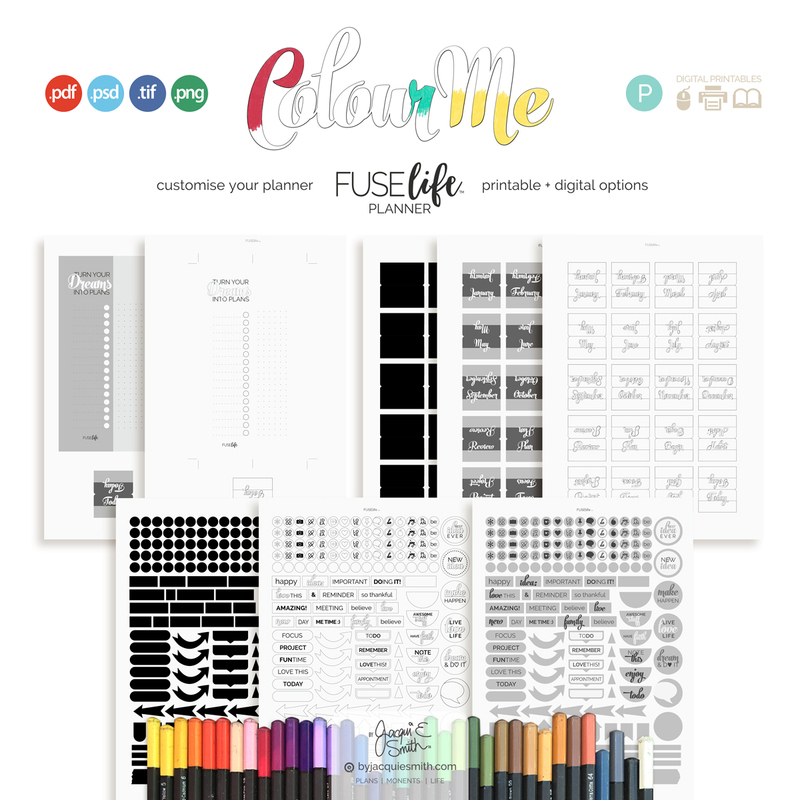 The FUSElife ColourMe planner is an all new planner for 2018! 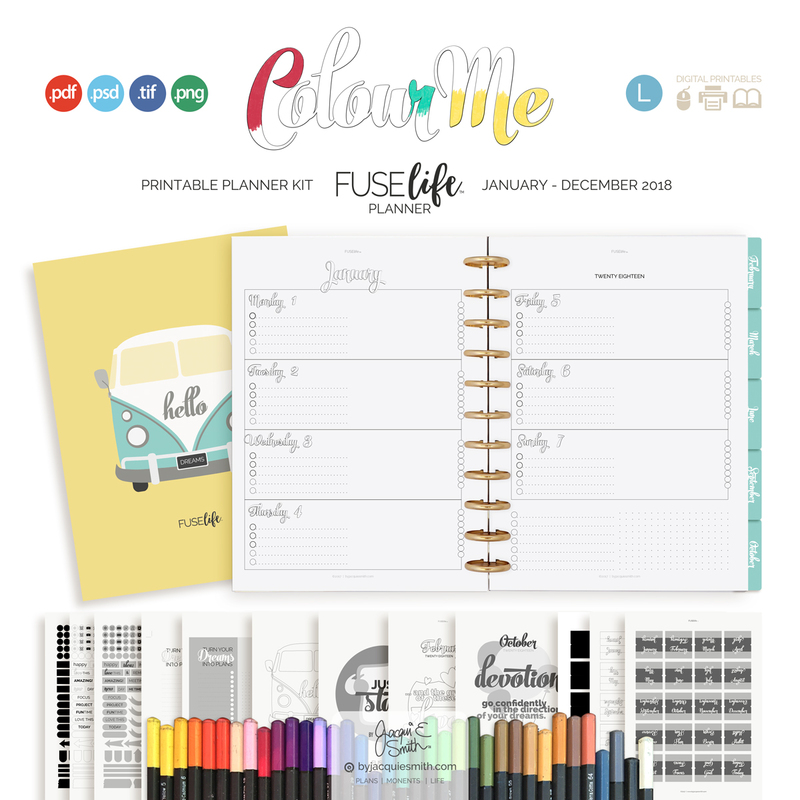 Now there’s space for a little creativity everyday! 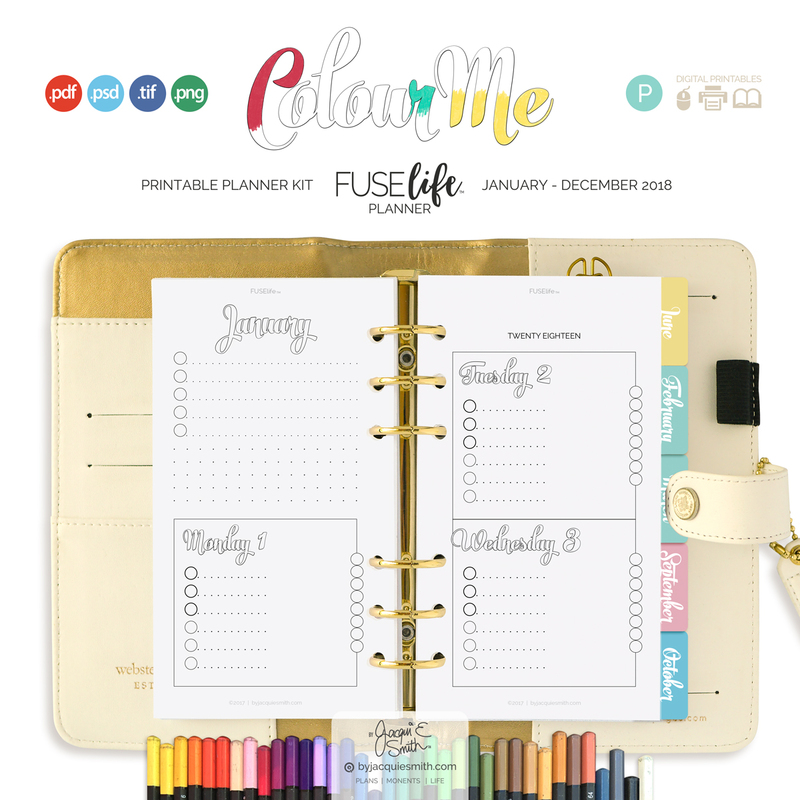 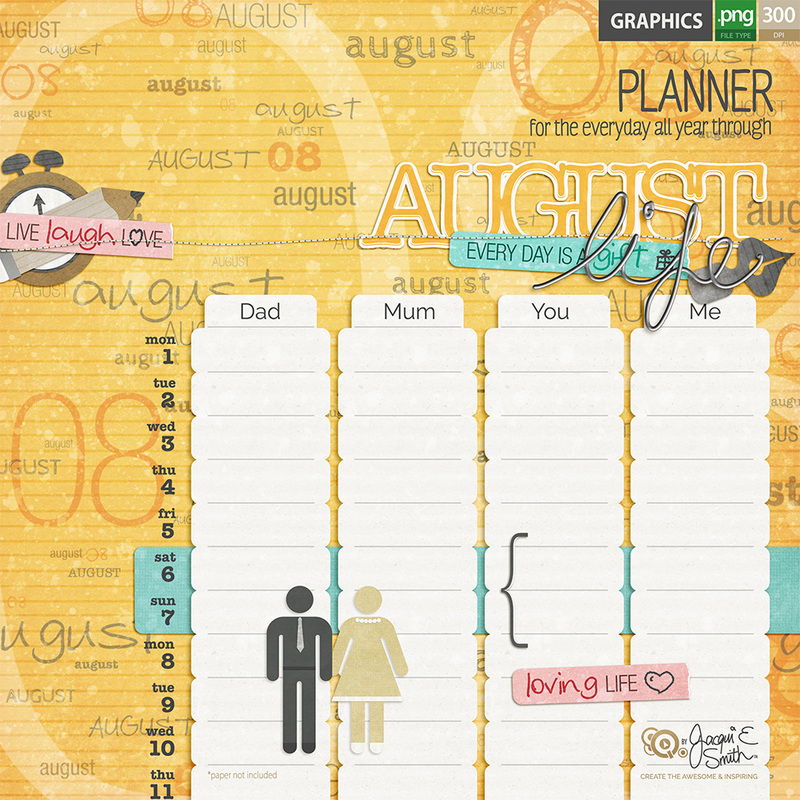 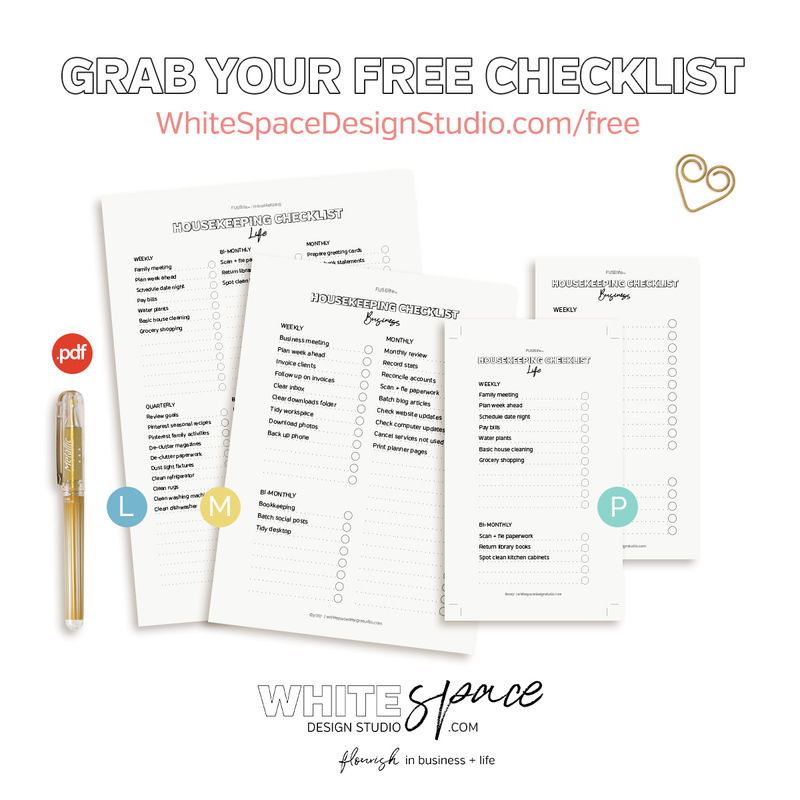 Create your own unique planner with the printable + digital file options included in this ColourMe printable planner kit. Or customise your covers, dashboards, stickers, bookmark + tabs till your creative heart’s content with the layered photoshop (psd) + tif templates. 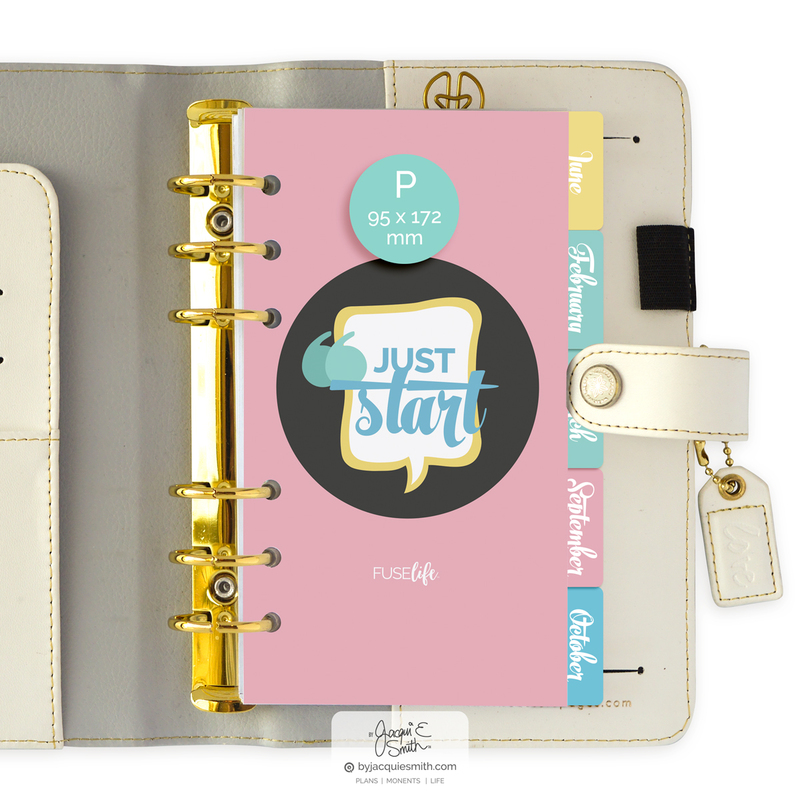 # This is the PERSONAL kit, 95 x 172mm, specially designed to suit many popular personal size binders such as Kikki.K + Websters Pages. 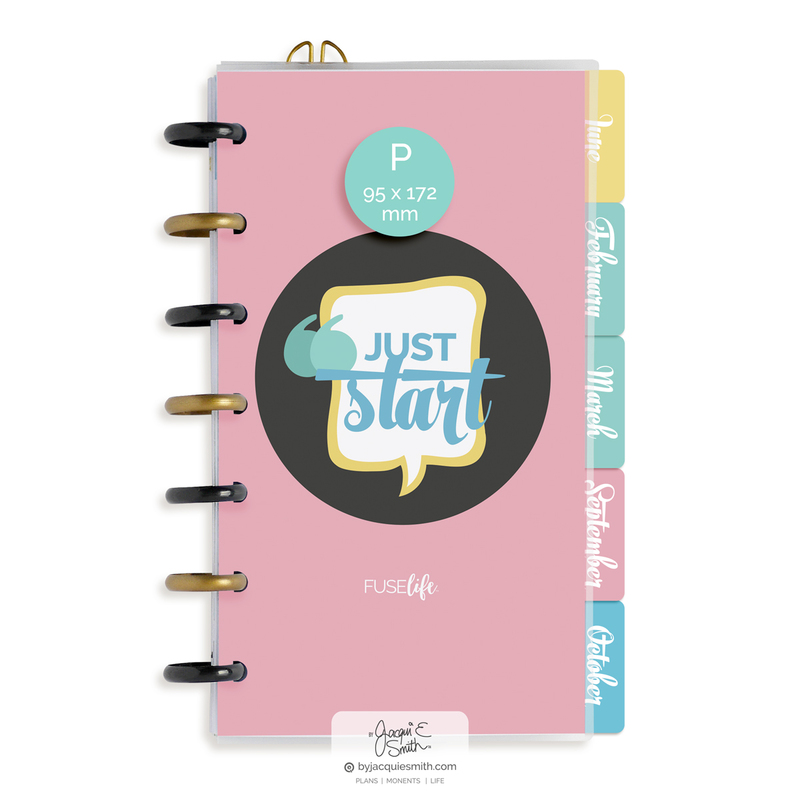 Also included is a bonus planner set up + printing tips guide with handy insider information about printing, binding, cutting stickers, digital templates + more.